Saturday (eve of Sunday) 4:30 p.m.
Monday, Wednesday & Friday—8:30 a.m.
Saturday 3:45 – 4:15 p.m.
or call the parish office to make an appointment. When entering the hospital, please contact the Parish Administration Center at 1.630.985.2351, ext. 297. The hospitals can no longer inform the Parish Administration Center of your stay there. In the case of an emergency, please call 1.630.985.2351, ext. 159. 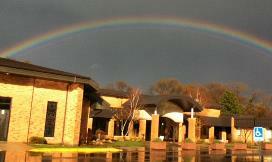 Arrangements for a Funeral Mass are made through the Funeral Home you choose. The Funeral Home will contact the Parish Administration Center to schedule the Mass. You may request prayers for immediate family members by clicking the link above.